There are countless food products that are hailed to be amazing boosters for the immune system. Everyone has their favorite go-to remedy, and even more, people have special foods they take just to help cure sickness. But is there any truth to remedies handed down through the generations? Surprisingly, a lot of myths and sayings about the best foods for sickness aren’t entirely false. There are a lot of ways you can boost your immunity through food. But some of the commonly spread information regarding foods for immunity are less than accurate. So which foods have you been eating that aren’t actually doing anything for your immune system? The answers may surprise you. 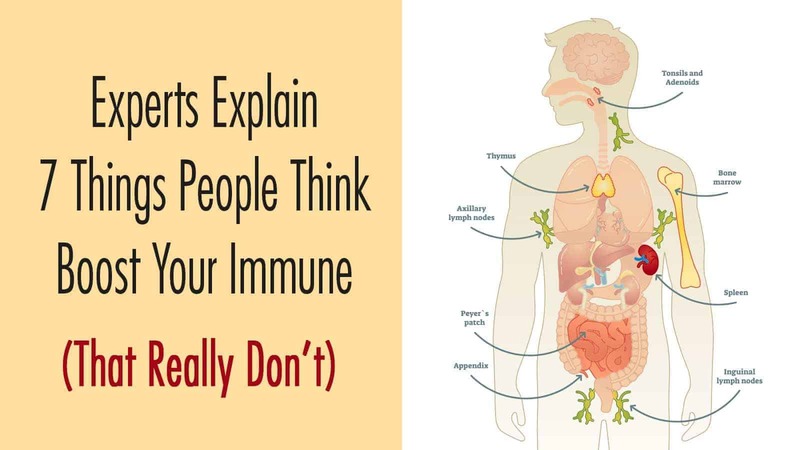 Here’s how experts explain some things people think boost your immunity that really don’t do anything at all. Many people believe that green tea is close to a miracle in how it works. Specifically, it’s a commonly held belief that if you drink green tea, your immune system is getting a lot stronger and helping you prevent diseases. But is that statement really the truth? It’s not that green tea isn’t a great way to boost health and help your body as a whole. It has loads of helpful components that make it pretty close to a superfood. But here’s the kicker – it isn’t better for your immunity than any other tea. All teas are virtually similar in immunity-boosting qualities. A lot of the hype around green tea is actually based on commercial marketing. Many companies want you to believe that green tea is inherently the best kind of drink for you over all others, but that simply isn’t true. Sure, it’s a great, healthy option, but it’s no better than other teas if your goal is a stronger immune system. If you’re looking to improve your immunity, instead, of spending cash on expensive green teas, opt for something much cheaper – water. It has the same immunity benefits, it’s something your body actively needs, and you know for certain that it helps your immunity. We don’t blame you for believing that apples are the best possible things for your health. After all, we all grew up hearing that an apple a day keeps the doctor away. But how true is that statement, really? As it turns out, like most proverbs, this isn’t meant to be taken literally. It refers to the fact that regular fruit and vegetable intake can boost your immunity and make you stronger, not just apples. But what if you decide to take it literally? Can you load up on apples and expect to be resilient to disease? Well, there’s no denying that apples are a healthy kind of food that taste nice and sweet, providing a good craving curber without health detriment. The fact that they’re packed with water makes them low-calorie and allows you to eat a few of them as a snack without dealing with weight gain. But the downside to eating too many apples in hopes of more positive immunity is that of all the fruits in the world, they apparently are among the top of the list when it comes to pesticide content. Yikes! Apples provide great vitamins, and if you eat apples with the skins on them, your digestion and teeth can benefit. But according to medical doctor Dr. Mike Finkelstein, this is the full extent of an apple’s ability. Apples don’t actually have any immunity benefits at all, especially not on their own. Honey is undisputed as one of the best natural forms of medicine that nature has to offer. It’s known for being good for keeping wounds clean and promoting healing. It’s good for the throat and prevents coughs from being too painful and constant. Honey is also full of antioxidants and it even has positive effects on the heart. But is it good for immunity? Unfortunately, it’s not exactly as good as you may have been led to believe. There aren’t any studies that suggest honey does anything for the immunity at all, in fact. So if you’re adding honey to everything to prevent illness, it’s probably not serving that role in the slightest. To make matters worse, honey may be better than refined, highly processed sugar, but at its core, honey is still a form of sugar. Sugar, on the whole, can actually weaken your immunity overall, meaning you can’t rely on honey to boost your immunity; it might do just the opposite! Unfortunately, honey is also a common contributor to weight gain. Its sugar content and high-calorie levels – 64 calories in just one tablespoon – makes it a tough food to stay fit with. Gaining weight leads to many issues, including a higher risk for multiple diseases, decreased positive thinking, and, unfortunately, lower immunity. You’re better off leaving honey as a “healthy” sweetener or a cough remedy. If you’ve never taken echinacea before, there’s a good chance that it sounds like gibberish to you. But a lot of people swear by this root. Echinacea is a type of flower, which goes by a few other names, including purple coneflower and black-eyed Susan. The root and dried leaves of this flower are used and taken to boost one’s immunity. However, there isn’t a lot of research on this vegetation and its ability to boost immunity, so most doctors and medical professionals don’t consider it a valid preventative method. Some have even had patients come in sick explaining they’ve been taking the plant product; the fact that they are sick speaks volumes of its ineffectiveness. With that being said, while echinacea cannot be reliably used for preventative care, it can be used as cold treatment. If you take it while ill, it can help to lessen the overall severity of the condition. It has also been found to have positive results for upper respiratory conditions and infections. In short, while you can’t take echinacea to prevent colds from taking root, you can take it to help a cold heal. It’s an option to consider for sure, but you should always speak to a doctor before taking any new supplements. Chicken soup is the go-to remedy for countless people. It’s warm, it tastes good, and it’s soothing to the stomach and body when you have a cold. The fact that chicken soup is rooted in nostalgia for many individuals makes an even bigger favorite. The good news is that, yes, chicken soup can, indeed, boost your immune system! But there’s a catch – it has to be real chicken, not those bouillon cubes many people use in their place. This means vegetarian or vegan versions of chicken soup won’t work nearly the same way. Why does this happen? Well, it’s the skin and fat of the chicken meat that actually provide antiviral function. That’s why you need real chicken to enjoy its positive effects on the body. Without real chicken, you’re getting the good taste and comfort with none of the “medicinal” effects. The good news is that you can make warm, vegan soups during times of the flu. You just can’t make imitation chicken soup. Opt instead for ones with healthy vegetables. There are plenty of delicious, animal-product-free varieties of sick meals out there! We all know that yogurt contains probiotics. Other fermented foods have this type of bacterium too, but yogurt is definitely the most famous. There’s no denying that probiotics – and plain, healthy yogurt – are good for you. They help your gut health, ease skin issues, and are low in calories for those watching their weight. You’ve also probably heard that yogurt is extremely good for the immune system. Unfortunately, this is far from the case. There has, as of now, been no conclusive evidence whatsoever that suggests probiotics can boost the immune system’s strength or prowess. It seems to have zero effect, and as such, shouldn’t be counted on if you happen to need preventative care in a pinch. Vitamin D is good for a lot of things. The old myth – which does have some truth to it – states that being outside in the sun will make you big, tough, and strong. This implies it has some benefit for your immune system. Unfortunately, if it does have benefits, no research has revealed that yet. This isn’t to say that vitamin D isn’t good for other things. It prevents migraines and head pain, it helps the muscles and reduces pain, and it’s even good for promoting positive thinking. But there isn’t enough conclusive evidence to suggest that it can strengthen immunity. With that being said, vitamin D has been found to contain benefits for some diseases. It is known to prevent the onset of flu, and it can reduce heart disease and multiple sclerosis risk significantly. But for overall immune function, its positive sides are limited; it’s just better suited to other roles. It is also worth noting that you shouldn’t eat too much vitamin D, as this can lead to vitamin D toxicity. This will cause calcium to slowly collect in your bloodstream, leading to severe complications that will hurt you more than help you. As a rule, you should only aim to get around 1,000 mg of the vitamin daily in the warmer months to keep your levels up – not much more. There are plenty of foods that do boost one’s immune system, but these 7 are not a part of them. To be quite honest, even foods that do boost immunity to some degree may not do so at a sufficient level to have a large effect. This means that even foods proven to boost immunity might not be as effective as you think. With that being said, plenty of so-called old wives’ tales about surefire immune system boosters are not entirely fabricated. Many still have merit to this day, and you can use them for mild to moderate positive effects on your overall immunity. If you’re really looking to strengthen your immunity, consider expanding beyond just food. 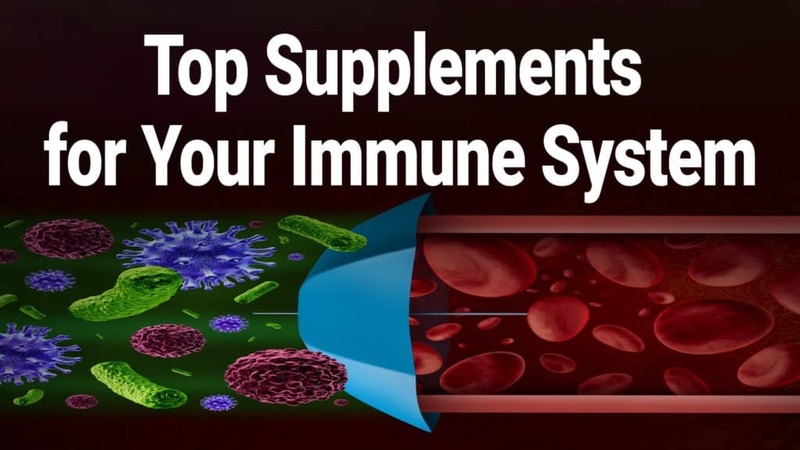 Exercise, mental healthcare, and a healthy overall diet all give you a better chance of increasing the strength of your immune system than any one particular kind of food. You can also speak to a doctor about your options.